Game #25 Nats travel back to Disney for the last time — ever! 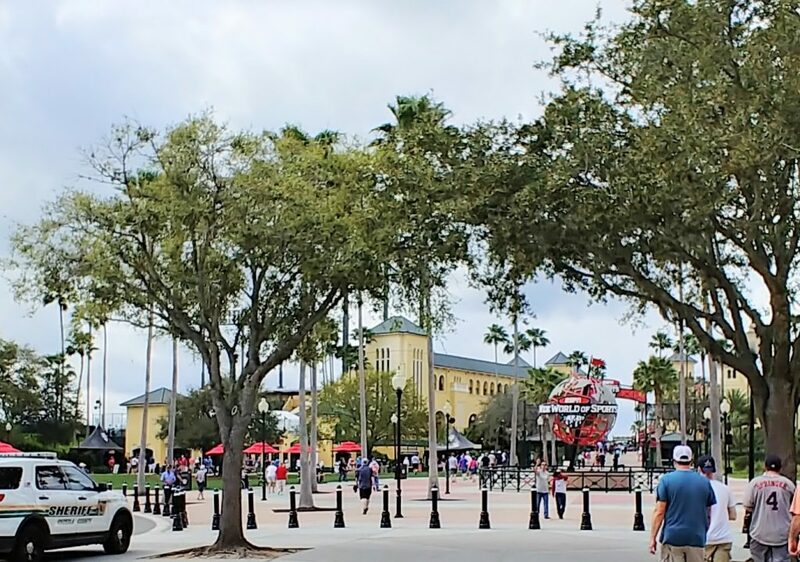 This will be the Nationals last trip to the Disney baseball complex because after this season the Atlanta Braves will be moving to their new home in Sarasota. When the Nationals were in Viera, the trip to Disney was actually their closest drive about an hour and 20 minutes away. From West Palm Beach, the roundtrip is a 326 mile bus drive, and a lengthy 2 1/2 hours each way from FITTEAM to Champion Field. Today’s starting pitcher for the Nats, Anibal Sanchez, could have asked to pitch on the minors side but instead chose to make the trek to start this game. All players taking the bus is set to leave at 7:00 AM from the FITTEAM complex in West Palm Beach. The Braves will start their lefty, Max Fried, who has faced the Nats before in this spring. The Nats will send a road crew of mostly volunteer players and a lot of minor leaguers. Sanchez will look to pitch up to 6 innings and 80 pitches in this game. The Nationals have the rare day-off tomorrow, and have only four more days of baseball including a split-squad game on Sunday. This entry was posted in InGame, SpringTraining. Bookmark the permalink.